It is learned that humanity was introduced to the green tea extract in 2737 BC in China. Needless to say, only China and India were the goldmines of minerals and natural resources in those days. Later, The Chinese herbalists managed to research the health benefits of green tea extracts. That’s how we have got the most delightful beverage of our time. However, not many are aware of the essence of the green tea extracts, nature of benefits, and the results of using green tea in the diet. Most of us merely go by the face value and hype surrounding this natural resource. So, would like to know more about green tea extract and wish to use it for maximum benefits? I guess, yes. 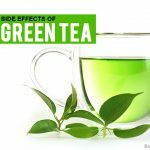 Is green Tea Extract Good for You? Have you ever wondered about using Camellia sinensis? Nope, this isn’t a perfume I’m talking about. This is the scientific name of the green tea extract. This popular herb is deduced from the tea plant leaves mostly cultivated in China and India. Both these ancient civilizations have been reaping benefits of green tea extract through their traditional medicines. Only recently, western countries have started using it as a dietary supplement. The scientific research has established that green tea extract contains antioxidant and antiviral properties that are chemo preventive in nature. Having vitamins, polyphenols, and flavonoids, green tea extract potentially prevents the human body from developing many diseases. In simple language, green tea helps burn fat, improves mental alertness, manages Cholesterol, and lowers the risk of cancer. Naah, these are just among the few benefits. Below is the long list of health benefits of green tea. Figure out the one you need. Green tea extract is definitely good for the human body and works great with both mental and physical wellness. According to the researches, GTE can set almost all the health parameters right if used carefully and in right proportion on a regular basis. The benefits of green tea extract cannot be counted on fingers. Several studies and research have been done in order to find out the exact benefits. Green tea extract provides an unimaginable boost to metabolic rate and reduces belly fat loss 4 times as per the research. Green tea impacts two different aspects of weight loss in the body. One one hand, it breaks fats into small pieces to be absorbed. And on the other hand, improves metabolic rate to increase calorie burning. Repetitions: 2 to 3 cups. More green tea means more weight loss is a myth. 2 to 3 cups a day is more than sufficient. A regular diet along with green tea is important. Consistent use of 3 months brings positive results. Green tea is rich in antioxidants and it helps in fighting against the free radicals present in the body. Not just removal of antioxidants but green tea extracts soothes your skin along with it helps cure fine lines. How it work: Steaming undoubtedly adds offers complete removal of antioxidants from the pore. Green tea extracts purify you. Best time to Apply: Any time of the day, especially after a facial. Tips: You can also use the green tea extract in your face packs. Caffeine helps boost your energy level, while L-theanine helps brain functions in more focused manners. Besides, compared to coffee, green tea is light on the stomach as well. Your green tea is ready for drinking. Green tea works two ways in order to energize your body. While on the one hand, it eliminates free radicals with catechins. 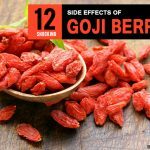 On the other hand, it provides much-needed strength and stamina and boosts the immune system. Preparation Time: 7 to 10 minutes. Best time to Apply: Morning, Afternoon, and Evening. Green tea in its purest form brings more powerful benefits. Be particular about the temperature of the water. One can also buy green tea vitamin supplement from the market. Do consult the physician before taking pills or capsules. Women often complain about the redness on their face, which sometimes is pus-filled, it is called Rosacea. Green tea extract helps a lot than the ice therapy, which offers soothing for a couple of minutes only or until you have ice pat on your face. Apply the cream on fresh and clean face. One can use it after applying the pack. Use a clean cotton cloth dipped in green tea. The green tea extract helps in cooling down the affected area of skin. Also purifies the skin by removing the bacteria from the skin and removing the rosacea from the pores. Best time to Apply: During the night before sleeping. Do not apply the cream if it irritates the skin. Always apply the cream after washing it with face wash. There is no end to health benefits of green tea. It does not only promote immune system but can play a critical role in promoting hair growth. While epigallocatechin gallate (EGCG) can improve hair growth, anti-inflammatory properties of green tea can prevent hair loss. 2 tsp green tea leaves. Pour the water into a stainless steel pot. Spread green tea leaves in a pot. Brew green tea leaves at 70° C temperature for 30 to 60 seconds. Let it cool for a while. Green tea extract is having 5-alpha-reductase, which are known as DHT-blockers. The main cause of baldness is Dihydrotestosterone, which is largely prevented by GTE. Besides, Panthenol in green tea extract rebuilds hair follicles and protects hair from splitting. Preparation Time: 2 to 3 minutes for preparation, 15 minutes for Application. Best time to Apply: After the hair wash. Brew 2 tsp green tea leaves at mere 70° C heat for 30 seconds to 1 minutes. Brewing green tea at lower temperature preserves Theanine that boosts dopamine. 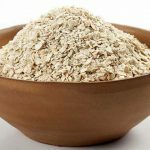 When it comes to DIY or homemade creams you know what you are using and how tidy you are while making one for your skin. Therefore, with the benefits of green tea and moisturization, acne can be invisible within a little span of time. The green tea along with the oils add a glow to the face. Also allows the acne to compress and not leave your face completely dry. Repetitions: Twice in a day. Best time to Apply: Anytime, however, best is to use it during the night. Tips: Always do a patch test 24hrs before you start applying the cream regularly. Regular use of green tea can enhance mood, improve mental functioning, helps focus and increases productivity. In order to enhance the mood a flavorful cup of green tea would be sufficient. Peel the lemons and let it dry for 24 hours. Break lemon rind into small pieces. Mix green tea leaves, mint, chamomile flowers and lavender and lemon rind. Mix all the herbs well and place in airtight jar. Heat water at 85°C in a stainless pot. Pour 1 and a ½ teaspoon of aforementioned herb mix in a cup. Pour hot water and let it soak for 3 minutes. 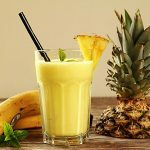 Your flavorful mood enhancer is ready to drink. Green tea extract is a great source of L-theanine. It is an Amino Acid which infuses calm and soothing effects. L-theanine stimulates brain waves and brings relaxation. The soothing element is capable of altering the state of dopamine, which actually impacts the mood swings. Repetitions: 2 to 3 times a day. Best time to Apply: Early Morning, afternoon, and before bedtime. You can use dry rose petals, Raspberry, or honeydew as an alternative. Ensure not to brew green tea while water is hot beyond 85°C. Down syndrome is genetic-driven disorders in which not only body parts are unusual but even the cognitive functions are largely affected. A research showed how epigallocatechin gallate (EGCG) helps brain cells manage cognitive functions and improves inhibitor controls. Take a cup full of water and pour into a stainless steel pot. Switch off the gas and let it cool for about 10 seconds. Add green tea powder in a cup and pour hot water. Mix a teaspoon of honey and mix it well. Your tea is ready for drinking. The regular intake of green with concentrated EGCG strengthens the connectivity between nerve cells. It also improves the functions of neurons. EGCG helps strength adaptive behavior, builds visual recognition, and resists distractions. Brewing temperature of the water needs to take care of. Do not boil water at 100°C. Use only pure green tea powder for the perfect concentration of EGCG. Cancer is one such serious disease that has no cure if you are not confident. Green tea extracts have always been helpful in building and strengthening the immune system. Now allow the tea to steep for about 1 to 3 minutes. The drink is ready for intake. Green tea extracts are antioxidant and help to stop the growth of the cancer cells. Also, green tea extracts help build new cells. Tips: Try to avoid any sugar calories. The lymph system is a very important part of the immune system. It helps the body to fight against the diseases. The lymph nodes swelling, if become severe, can be cancerous. And green tea helps in building the immune system strong. Then sieve the tea into a cup and drink. Green tea helps in building the immune system. It refreshes you and helps to build stamina. Do not let the green tea become too cold. 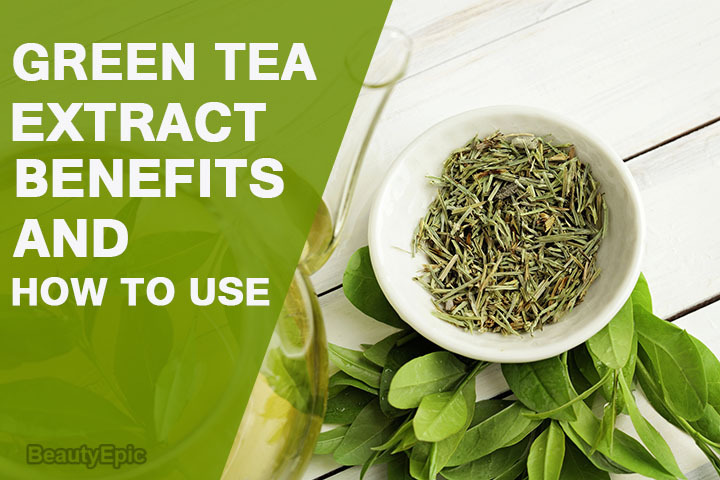 Given the number of health benefits with elements that green tea extract contains, it’s usually safe for adults to have 2 to 3 cup intake every day. However, there are elements that may cause some kind of damage over-consumption for a long time. The patients with anemia should avoid using green tea. Those facing anxiety must consult a physician before using green tea due to caffeine. Green tea may affect the level of calcium in the body weakening the bones. Great tea extract may create iron deficiency as myeloperoxidase may cause inflammation. If taken in the afternoon, caffeine may cause a dizziness and mild headache. Having green tea for more than twice may fall you in the trap of insomnia due to caffeine stimulating your brain. It is researched that polyphenols may result in oxidative stress, which can cause vomiting. Those facing bleeding disorder should avoid drinking green tea. Avoid green tea for more than a cup of you are pregnant or breastfeeding. There are more side effects. However, most of green tea side effects are either related to high take of caffeine or overdose of green tea. If you know how to balance the diet with green tea. You are going to have a healthy life for sure. Green tea extract is no less than an elixir for the human body. However, for using green tea for various purposes, one needs to indulge in the art of brewing green tea leaves at different temperatures. The usual use of green tea extract has always been about brewing green tea leaves or powder in warm water. There are various ways of using green tea, such as ice cubes, ice tea, green tea rice or pudding, or green tea paste mixing other herbs. 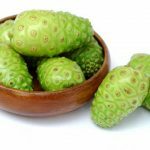 We are sure those who had no idea about the green tea extract or GTE, must have made up their mind to use this potent potion for various purposes. Do share with us your experiments with Green Tea and the success. The scientific research has established that green tea extract contains antioxidant and antiviral properties that are chemo preventive in nature.